I spent more than thirty years of my adult life, teaching. Planning my career was the only long-term planning I have ever done, and luckily it turned out well. I knew from when I was five years old that I wanted to be a teacher, and even though I took the scenic route to get there, I got there in the end. See ‘Blog Challenge – Day Three’ for the low-down on how ‘unplanned’ my life has been. I’m used to teaching children, not adults, although I have shared some skills along the way with the teachers I worked with. I have always valued learning, and because of that philosophy, I have valued teaching – you can’t have one, without the other. Our attitude towards learning, shapes our lives as we get older. And that is where I am heading, because this is what I am going to teach you today. Let me start with the traditional view of an aging person. How many of our grandmothers sat on the front porch, knitting needles in hand, watching the world go by? Or were in the kitchen, whipping up another batch of scones? And where was Grandpa? Well, he was either on the golf-course playing a social round of golf, or down at the creek, waiting for the fish to bite. Okay – that’s a bit of an overstated view, but you need to see the comparison I’m about to make. Sure, you’ll still find some older people, knitting and fishing, and that’s a good thing. They lived through the Depression and really tough times and they deserve to put their feet up now and take life a lot easier. But a new breed of retiree is emerging. We, the Baby Boomers, or Boomers, as we are sometimes called, are hurtling full-on into retirement, if we aren’t already there. And we are different! Our world, from the mid-forties to the mid-sixties was very different from that of our parents and grandparents. By the time we came into the world, the Second World War was just about over, and the stringent rationing of goods and services was about to end. Life, for us, started well. Education played a more prominent role, simply because it could. My father was forced into employment, rather than waste time on Secondary Education; he had eight hungry siblings to help provide for. I, on the other hand, finished my full quota of Secondary Education, and a lot of years at University as well. My future options were a lot better than those my father faced at the same age. And speaking of ‘eight-hungry siblings’, have you ever wondered why families back then had so many children? For those of us lucky enough to be born into the era of contraception, spare a thought for those who went before us. That’s all I’ll say on that matter; the rest is up to you to figure out. They say if you remember the sixties, you weren’t really there. I’ll let you figure that out on your own as well. And just for the record – I remember the sixties well – and I was there. The position of young people in the sixties was so far removed from young people two decades ealier, that it is difficult to discuss them in the same article. They were worlds apart! From our privileged beginnings, the recently, and about to be retirees of today, have a very different view of the world. The end of rationing – which coincided with the end of the Second World War. Food and essential items started flowing freely again. My mother scrounged coupons to buy her wedding dress – I went into a store and bought mine with very little thought about the cost. Education beyond Primary School (Elementary school) became the norm, not the exception. Tertiary Education was affordable – no longer just for the privileged elite. Development of the contraceptive pill – gave families choices on how many children to have, and when to have them (I’m not taking a stand on this, I’m simply stating the facts). Television – introduced to Australia in the late 1950’s – became more sophisticated and brought the world to our living rooms. Vietnam War – Australia’s involvement impacted us in the Sixties and again, in our sixties. Our Vietnam Veterans are owed a debt of gratitude for their commitment then, and need our understanding now. I won’t add to this, but anyone who knows a Vietnam Veteran, knows the impact this war had, and continues to have on them. Beatles and all things Rock and Roll! The music of the sixties belted out across neighbourhoods, loud and proud! It changed the way we danced, dressed, and looked. Mods and Rockers – found their way into our existence in the mid-sixties. Crazy times! Happy Days – featuring Henry (The Fonz) Winkler, and Ron (Richie Cunningham) Howard, showed us the cool way to breeze through our teenage years – hanging out in diners, driving groovy cars, and drinking soda’s, and milkshakes. Oh, and dancing in the diner, despite the ‘No Dancing Allowed’ sign. Perhaps this was the start of our irreverent view of authority. For us Baby Boomers, the times were a-changing, and dictated much of what we do now. In our parents time, there was an emphasis on leaving our children a reasonable inheritance. Their motto was ‘work hard, save hard’. I am very grateful to my parents for all they did, but I would have loved for them to have spent the money they worked so hard for, on enjoying their retired lives more. And that is where the Boomers differ. I love the Bumper Sticker proudly displayed on the back of many motor-homes I see, “SKI – Spending Kids Inheritance’. This new breed of retirees are known affectionately as ‘The Grey Nomads’. They’ve got it right! Travel and learning are what Growing Old Disgracefully is all about. Our more affluent formative years have given us a different view of the world than our parents had at retirement age. We’ve had it easier than our parents did, worked hard and raised successful children who are financially stable. I’m sure they understand that it’s now time for us to get out and see the world! 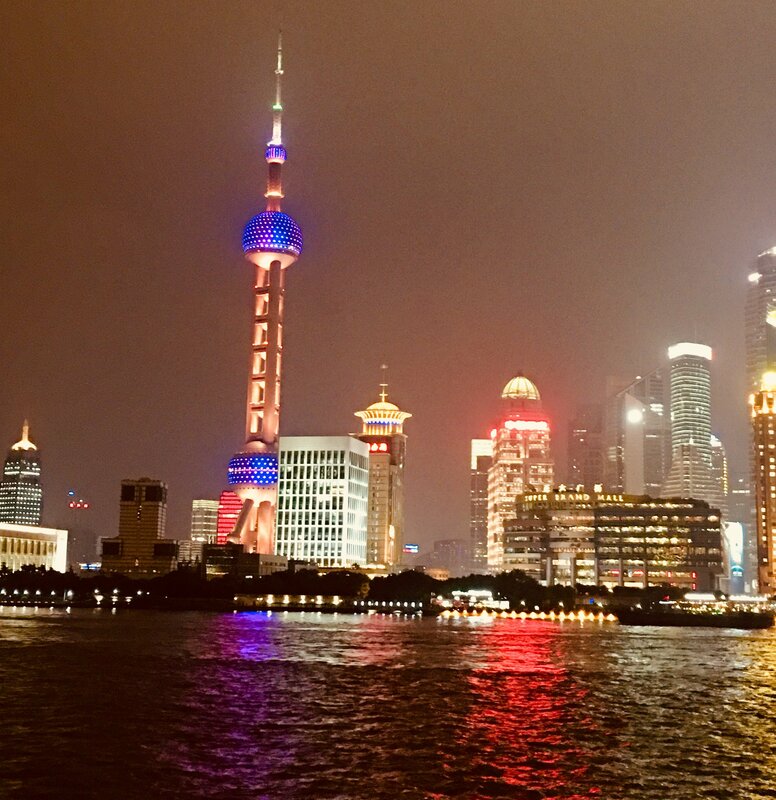 Since retiring two years ago, one of the most memorable trips I’ve taken was to China. And there were three ninety-year olds with us; they kept up without any problems at all. 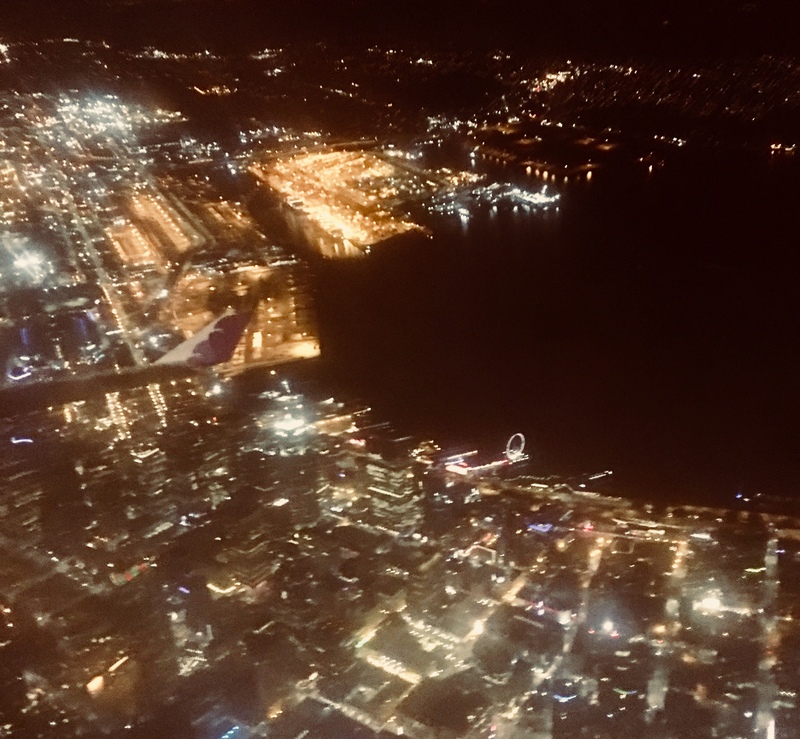 Flying into Seattle, one cold December night. Our roads are dotted with motor homes and caravans being driven by Boomers, seeking new adventures in this vast country of ours. Airports around the country, and around the world, are full of white-haired travellers going to, or coming from, distant destinations. And they are all smiling! As for learning?, and this is the best part, we are still at it!. How many of the Bloggers on the July Ultimate Blog Challenge are over sixty years of age? I know I am. Let’s face it, if we’re retired, we have more time; if we’re retired, we’ve got more to say (think ‘Grey Nomads’ and ‘World travellers’); if we’re retired, we want to learn – and have the time to do it. A friend of mine is in her seventies and has been teaching me about Podcasting. She has written a lot of books over the years and is now turning them into Podcasts. Without even trying to promote it, her Podcast Channels have over two-thousand subscribers, in a very short time. This is not a traditional view of what a seventy-plus year old would be doing in her retirement years. Growing Old Disgracefully, is alive and well! In fact, I recently spent a day with this friend, and a friend of hers, for a day of learning and sharing. We had our technology of choice (mine is my iPad Pro) and we shared tips and tricks for podcasting and website creation and maintenance. It didn’t seem odd, until I stopped for a coffee on my way home late that night and the young Barista asked me how my day had been. As I told her of the day’s events, I noticed a look of bewilderment on her face. Here I am in my late sixties, relaying my journey with podcasting and my website, to a young person of today; only then did I have an awareness of how far from the expected norm we have ventured. I finished with “uh-huh, I guess we should have been knitting or basket-weaving, but I don’t think any of us know how to do that”. The Boomers have lived through amazing advancements in technology and products and services that have had a life-long effect on us. It is only natural to think that our retirement years are not going to be the same as those of our parents. 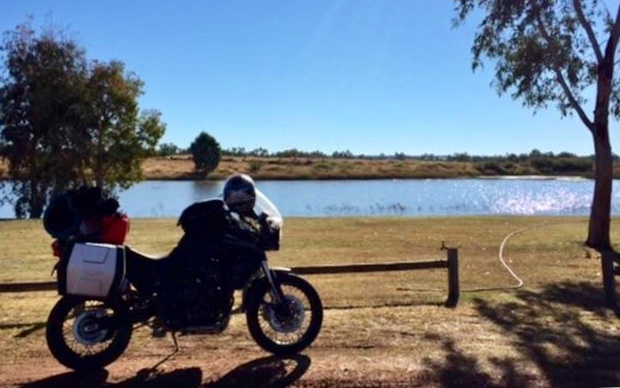 My seventy-two year old cousin is in the final stage of his solo-motorbike ride across Australia. Sleeping in a tent under the stars, meeting other (grey) nomads along the way, and gathering enough content for a mini-series on Aging Disgracefully (if only he would produce it!). Look on a map of the Nullarbor Plain, to get an idea of how gruelling the trip would be, especially solo, and especially on a motorbike. Russel is an inspiration to us all. Whenever I find myself faltering on the brink of traditional versus disgracefull aging, I think of my cousin. And then I plough through whatever it was that was holding me back. I look around me in the village I live in, and I see the older, more traditional retirees, and the emerging Boomer retiree population. Well actually, you don’t see the Boomers much, just the empty spot where their motor home is usually parked, and the empty chair on the front porch. They are out there, and they are doing it! 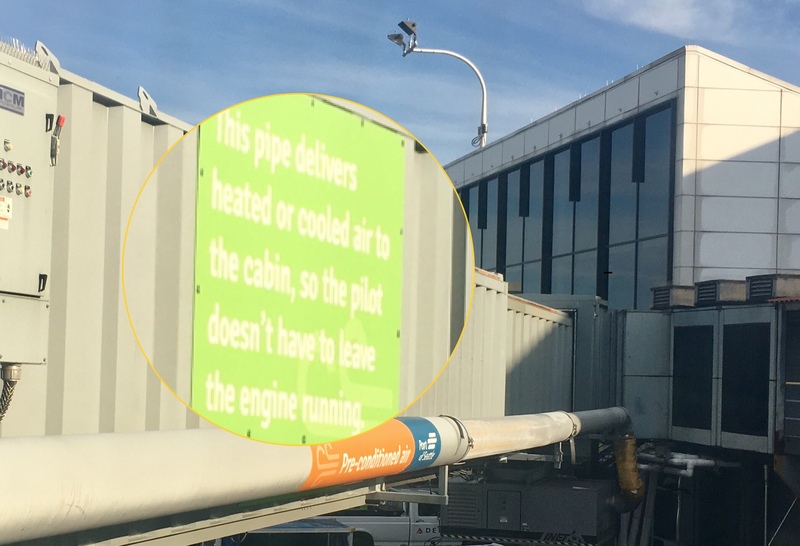 Trekking around in a caravan, flying to a distant destination, on another cruise; recording voices for the next Podcast; attending a WordPress Meetup or WordCamp; or sharing strategies for video-editing. They are debunking the myths of what older people ‘should’ be doing. And I love it! We are Growing Old Disgracefully!